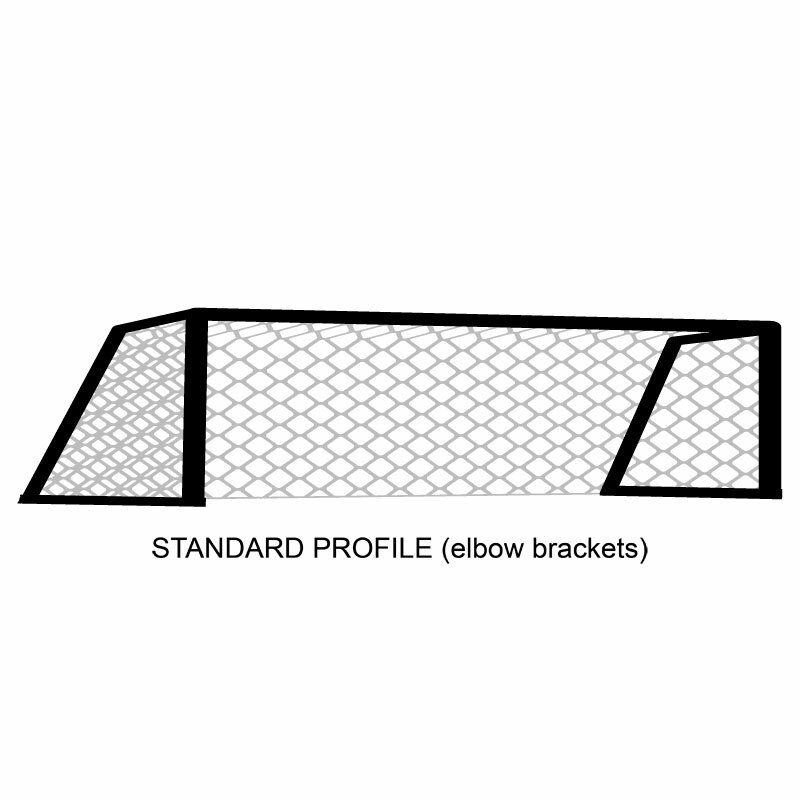 The Harrod Sport ® 5 v 5 Standard Profile Football Nets designed for use with goals where elbow brackets are being used to support the net. 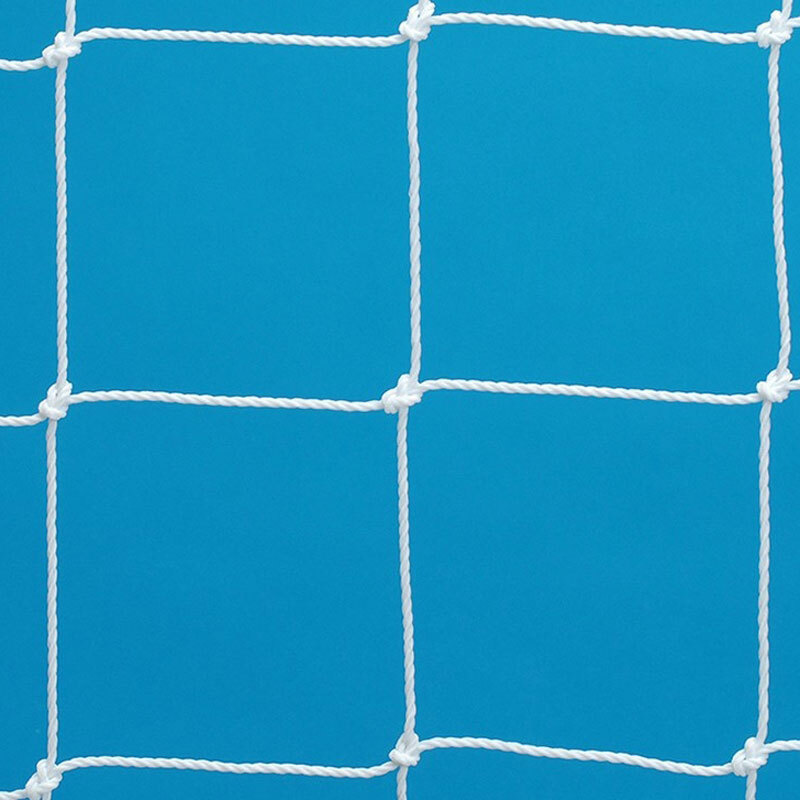 Nets are designed to fit goals measuring 4.88m x 1.22m (16ft x 4ft), 3.66m x 1.22m (12ft x 4ft) or 2.44m x 1.22m (8ft x 4ft). Manufactured from 2.3mm, 3.0mm polyethylene or 4.0mm braided cord. 4.88m x 1.22m (16ft x 4ft) - Harrod Sport code FBL-028. 3.66m x 1.22m (12ft x 4ft) - Harrod Sport code FBL-029. 2.44m x 1.22m (8ft x 4ft) - Harrod Sport code FBL-030. Harrod Sport ® Folding Steel Football Posts. Harrod Sport ® Folding Wheelaway Steel Football Posts. Harrod Sport ® Permanent Steel Football Posts. Harrod Sport ® Socketed Steel Football Posts. 4.88m x 1.22m (16ft x 4ft) - Harrod Sport code FBL-031. 3.66m x 1.22m (12ft x 4ft) - Harrod Sport code FBL-032. 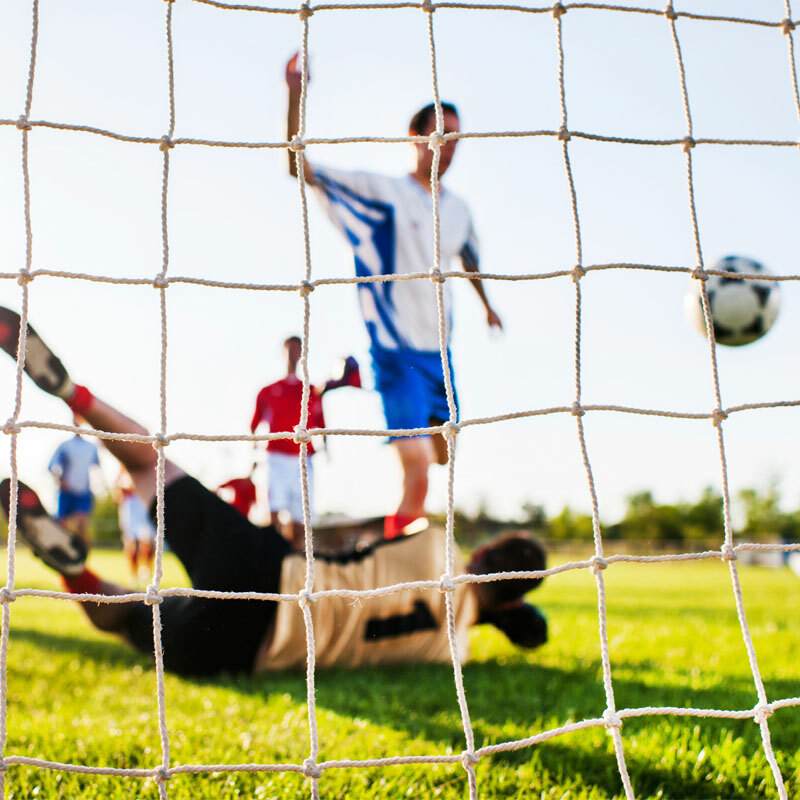 Harrod Sport ® Folding Aluminium Football Posts. Harrod Sport ® Freestanding Aluminium Football Posts. Harrod Sport ® Freestanding Heavy Duty Steel Football Posts. 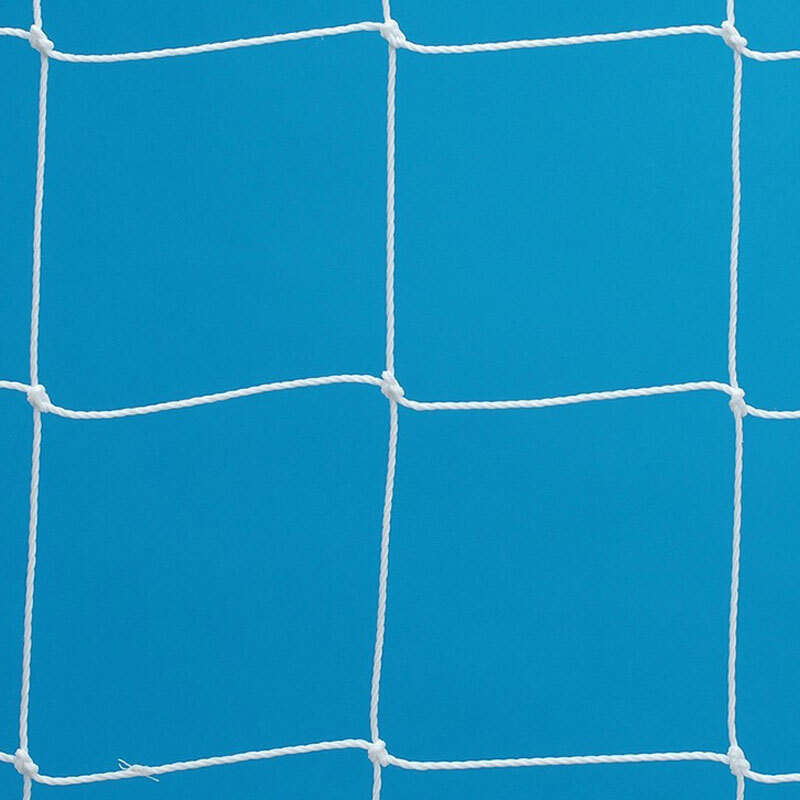 Harrod Sport ® 3G Fence Folding Football Posts. 2.44m x 1.22m (8ft x 4ft) - Harrod Sport code FBL-035. 4.88m x 1.22m (16ft x 4ft) - Harrod Sport code FBL-522. 3.66m x 1.22m (12ft x 4ft) - Harrod Sport code FBL-523. 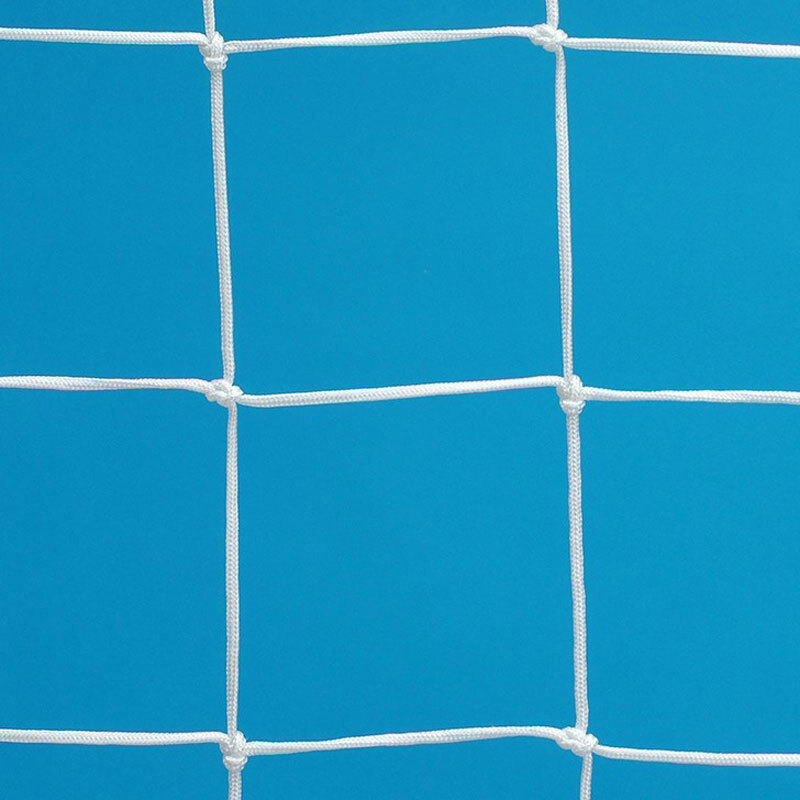 Harrod Sport ® Heavy Duty Galvanised Football Posts. Nets arrived as described and very good quality! Exactly the type of net and material we have been trying to purchase for a couple of years now. Delivery was excellent too! Nothing wrong with the nets as you would expect. But i assumed incorrectly that they would be suitable to use with 'normal' net clips (i.e. wraparound). It appears that you have to use the 'Lock on Synthetic net hooks' which at over £20 are way too expensive.